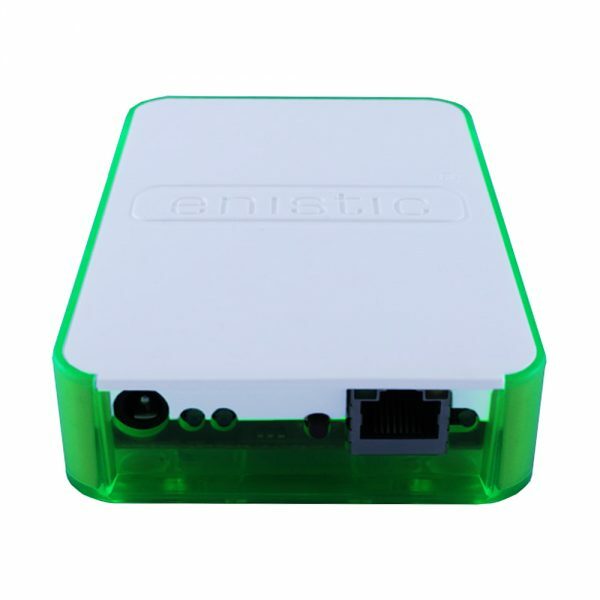 Wireless controller with Ethernet communications. The Enistic Smart Energy Controller Lite acts as a master interface between the Energy Manager software and other Enistic products. Simply plug the controller into your internal network, i.e. into a data point, router or hub and the controller will act as a bridge between the system and the Energy Manager.